No fairytale this year, folks – not even the hope of one. When the whistle is blown at full-time tonight – short of an added bit of rugby league by way of extra time if the scores are locked – one of the most hated sides in the NRL will be the 2018 premiers. The Roosters and Storm are two sides that few fans of any other club could find themselves getting behind. Sure, it’s always a bit of a struggle to support any team other than your own, but the last few years, there has been a clear sentimental favourite for the masses to support come the last game of the season. Last year, North Queensland limped into the finals, then blitzed their way to the decider without the services of co-captains Matt Scott and Johnathan Thurston. Add the fact their opponents – and eventual conquerors – were the Storm and it was an easy choice for the rugby league world to cheer on the Cowboys in their doomed fairytale. While the Sharks’ tactics and general attitude to the world make them hard to like, the 2016 grand final was the club’s first premiership since their inception in the 1960s. Again, add in the Storm as their opponents that night, and most people were singing ‘Up, up Cronulla’ in the stands. In 2015, we were treated to another inaugural premiership, this time as the Cowboys claimed their first major piece of silverware by getting one over on their ‘big brothers’, the Broncos. As for 2014, seeing history made as the Bunnies beat the Bulldogs to break a 43-year premiership drought meant most people were barracking for the ‘Pride of the League’. You’d have to go back to 2013, when the Roosters beat Manly 26-18, for a grand final when there was no real easy pick for neutral fans. Because – and this will be confusing for those who have come into the NRL fold in the past two or so years – once upon a time, not that long ago, Manly were among the most hated sides in the comp (now they’re just kind of pathetic, which is actually quite sad in itself, but that’s for another day). So we’ve had a pretty good run of underdogs and Cinderella stories, but tonight it’s all about the baddies. But what is it about the Storm and Roosters that make them so unlikeable? The common factor generally comes down to two words: salary cap. Melbourne famously cheated the cap for a number of years and have never really washed off the stink, while the common refrain regarding the Tricolours is that they actually wear a ‘salary sombrero’. 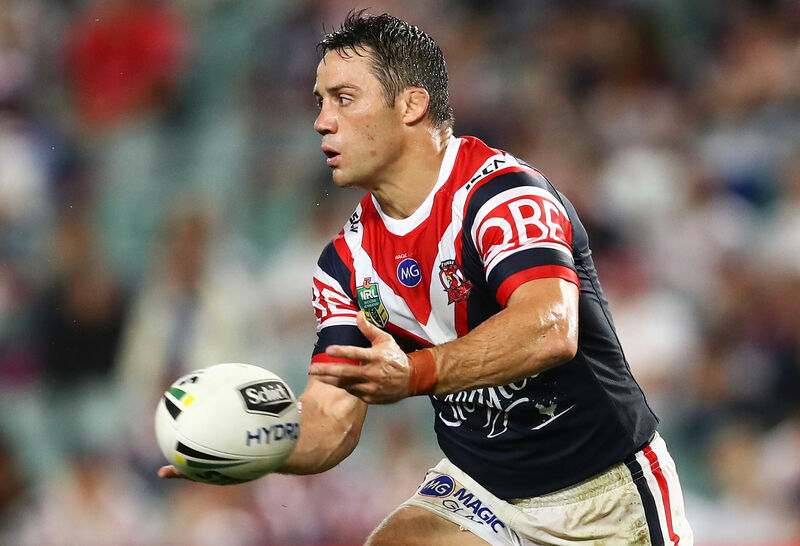 However, running a quick eye over their respective squads for the granny, you’ll discover an oft-ignored fact – particularly when it comes to the Roosters. While ‘Uncle’ Nick Politis pulled out the club chequebook over the off-season to recruit superstar duo James Tedesco and Cooper Cronk, the rest of the side is largely Bondi through and through. Rep players Boyd Cordner, Latrell Mitchell, Dylan Napa, Daniel Tupou, Jake Friend, and Isaac Liu have only ever pulled on Roosters jerseys, while Jared Waerea-Hargreaves has just six games for the Sea Eagles on his CV, and Sio Siua Taukeiaho played one game at the Warriors before crossing the ditch. Of the lesser lights (at this stage of their careers), Joseph Manu, Mitchell Aubusson, Victor Radley, Lindsay Collins and Nat Butcher are one-club men, as are Paul Momirovski, Ryan Matterson and Sean O’Sullivan – although the latter trio are off to other clubs next season. Meanwhile, Blake Ferguson and Zane Tetevano arrived at the club as damaged goods who the Roosters took a punt on, while Luke Keary left Souths due to a falling out with Russell Crowe, not because the Roosters poached him. They may not have the league’s greatest juniors and the point of the salary cap is to equalise talent – even if your club has to lose players they made into stars – so seeing the Roosters with such a star-studded roster is frustrating for supporters of, say, Newcastle and Parramatta, which are talent-rich nurseries but have taken out six of the last seven wooden spoons. But to say that the Roosters ‘buy’ premierships is disingenuous – this is a club that develops kids and has-beens into blokes who’ll get you to a grand final. I’ll argue there’s no need to run the same rule over the Storm’s squad, for the simple fact if you haven’t realised Craig Bellamy turns rocks into diamonds by now, you haven’t been paying attention for the better part of 20 years (plus, a large part of last week’s column was dedicated to this point). So why do we hate the Roosters and Storm? For the simple fact that success breeds contempt, and these two sides have appeared in 14 of the past 19 grand finals. It means that having the rest of the league hate you is a badge of honour to be worn with pride. So to the Roosters and Storm fans out there, we hate you.